Employers always try to provide the safest working environment for their staff. But even the most conscientious businesses are not immune to the occasional workplace accident. With workers’ compensation insurance, businesses can provide benefits to injured or sick employees while protecting themselves from costly lawsuits. 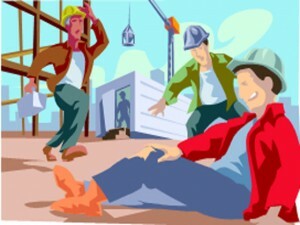 Unlike other forms of business insurance, workers’ compensation is required by law. You must provide coverage for all full- and part-time employees or face federal and state penalties. Each state develops its own regulations to ensure that businesses provide compensation and health benefits to employees who are hurt or become ill on the job. Workers’ compensation insurance is also a no-fault policy – your employees can usually receive benefits for a workplace injury even if you weren’t directly responsible. In turn, the employee receives compensation but can’t sue your company for negligence. State Insurance Agency is committed to providing excellent service, educating our customers and being a single point of contact for all your insurance needs. If you are interested in worker’s compensation insurance fill out the form to the right and one of our helpful customer service agents would be glad to assist you.